You sign up, then have access to limited releases from Warped. They just dropped the first one today, $120 for 10. MountainFace, CVAC085, irratebass and 2 others like this. Thank you, I totally forgot it was Warped. $135 delivered for "special" release cigars, oh well I'm a sucker for a good Corona Gorda, better be for that price! Glassman, CVAC085, admartinct and 1 other person like this. Did you get a confirmation ? I'm still at the wish phase..... waiting. Tyler86 and WNYTONY like this. Nice. It must have gone quick, I was in a little after 2 and apparently too slow. Tyler86 and ak2000 like this. Glassman, CVAC085, Tyler86 and 1 other person like this. I got a confirmation email today that my wish was granted. Is it random or first come first serve? No idea. I signed up around 9am Thursday morning. Just got an email that it closed now, and if your wish wasn’t granted, it’s not going to be. All well, maybe the next one. I may be able to help. Will message you when I get them in. Glassman, cwant and Tyler86 like this. I think it's first come first served based on when you signed up for the program. They only had 250 10-packs of this offering which were available. The first 250 members had priority over the other members. They had 3 days to place the order and if they didn't, the 10-pack was offered to the next member in line who had it placed as a "wish". I think you’re right. 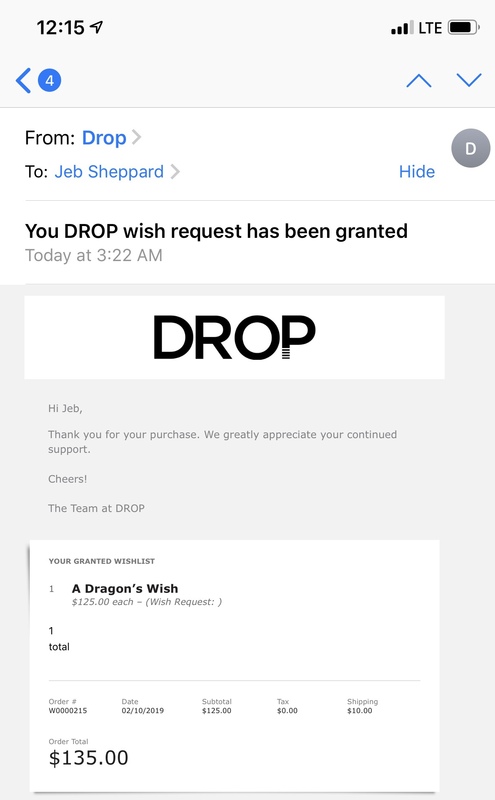 The email I got said that if you purchased through one of the guaranteed slots or had your wish fulfilled, then you get a guaranteed slot on every one going forward so long as you keep purchasing consecutive drops. How often are they gonna "drop" something? Do I need to put my guy on retainer ??? No idea, I'm not sure if they're planning to do it at regular intervals. I signed up for it, so when I hear something I'll let you know. Yeah I've got some coming. I was just curious if anyone had heard of any other ones coming up.